This collection of rare archive photos,technical narratives and 24 pages of drawings describes the Albatros D.IV, D.VI, D.VII, D.VIII, Dr.I, D.IX, Dr.II triplane, D.XI, D.XII, D.XIII and D.XIV in unprecedented detail. 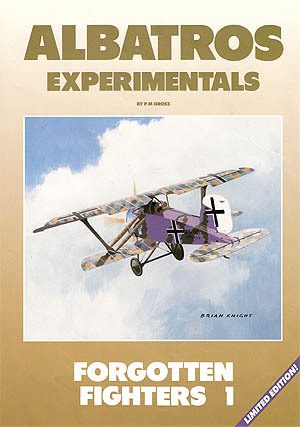 These aerial 'might-have-beens' offer a striking contrast to the Albatros works' more well known WWI products most of which have been featured by our team of authors and illustrators over the years. Another unique and top quality publication that contains over two dozen photos and a colour plate of the Dr.II.